Want to know our favourites for packing lunches this upcoming school year? 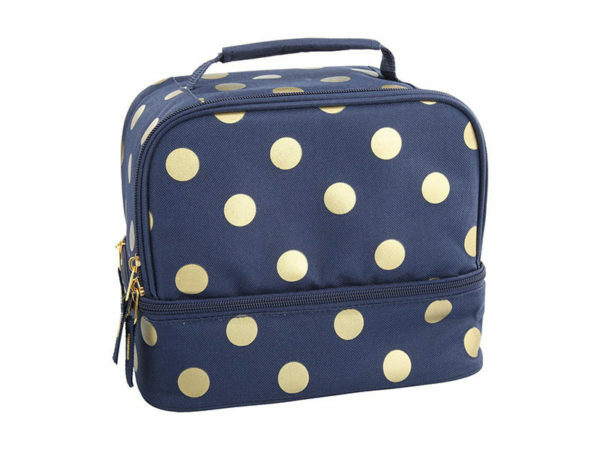 Click on through to discover our picks for lunch boxes that tick all the boxes of practicality and style! The brilliant crew at Stuck On You is adding a personal touch to lunches this year with their personalised Stuck On You Bento Box. No more fiddling with separate lids and containers – this awesome lunch box houses six handy food compartments all under the one air-tight lunch box lid. There’s even a spot for dip! Choose from five colours (navy, hot pink, light pink, light blue and mint) and add your child’s name to the lid’s face in your chosen font and cute design. Priced at $49.95, this lunchtime buffet awaits at Stuck On You! 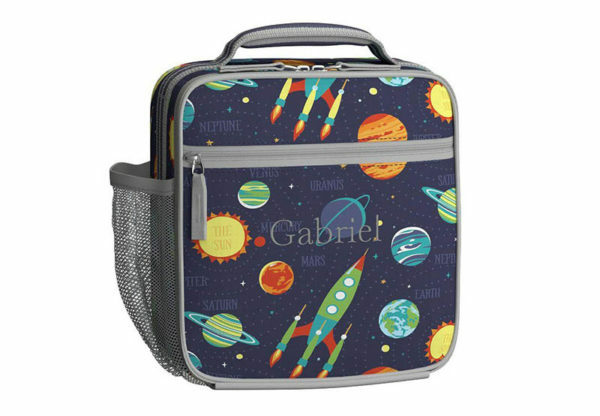 Kids fascinated by all things space and astronomy will get a kick out of having their lunch packed in the Mackenzie Navy Solar System Lunch Bag. Even better, you can have it personalised with your little astronomer’s name. Priced at $29, just head in store to Pottery Barn Kids to buy or personalise one. Need a bigger lunch bag for your big eater? Growing bodies need lots of fuel and you can pack it all in the SoYoung Insulated Large Lunch Bag. 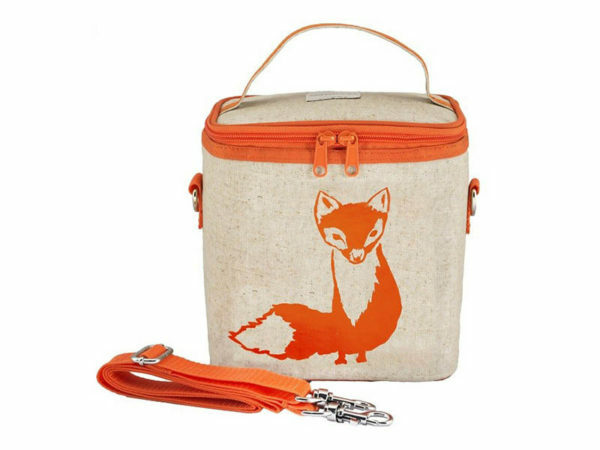 The linen exterior with sweet fox design and contrasting orange zips houses a removable, easy to clean, insulated lining. Carrying it all is a cinch with a handy shoulder strap. Available from Biome, priced at $44.95. For a pretty spot of lunch, Kmart has your back. 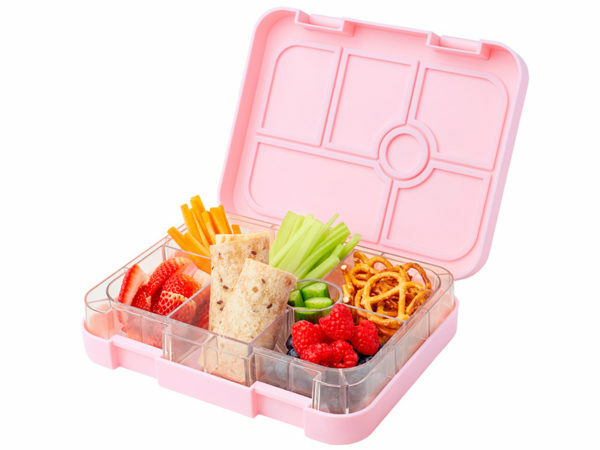 The Twin Deck Lunch Box, $12, holds your child’s lunch on two levels so nothing escapes or gets squashed! A durable, moulded plastic bento style lunch box, the Goodbyn Bynto packs a colourful punch to lunch. 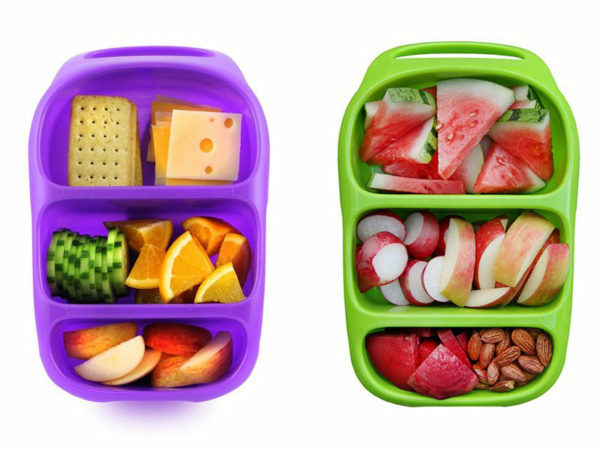 Three compartments are nicely sized, keeping foods separate and the one piece lid means no lost individual lids in the school yard! It’s $18.95 from Where Did You Get That? 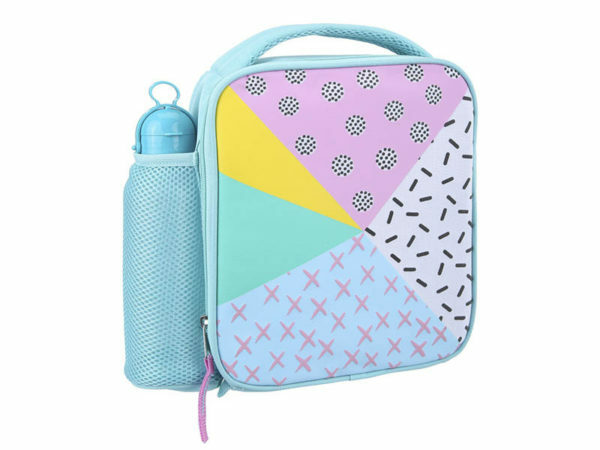 Kids can keep their water bottle close by in a handy mesh pocket with the Sprinkle and Splice lunch bag. 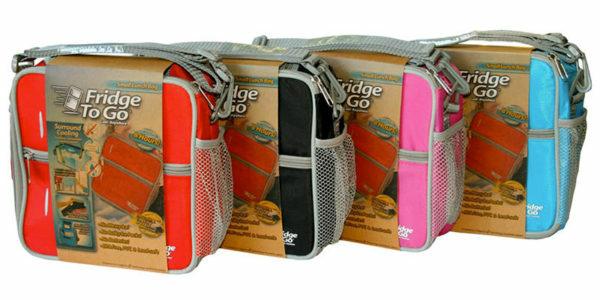 Fun, colourful and practical – find it at Kmart for just $9. 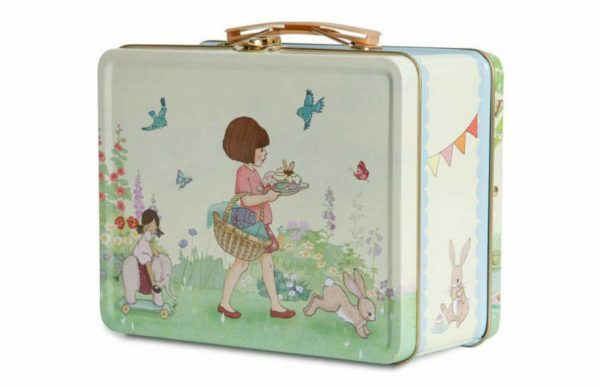 Everything old is new again and we adore the Belle and Boo Vintage Lunch Tin for its classic good looks and retro vibe. You’re guaranteed to have a well protected lunch with its beautifully printed metal exterior! You’ll find it at Lime Tree Kids, priced at $16.95. For those with little appetites who prefer a smaller container for a little lunch, Skip Hop is the answer. 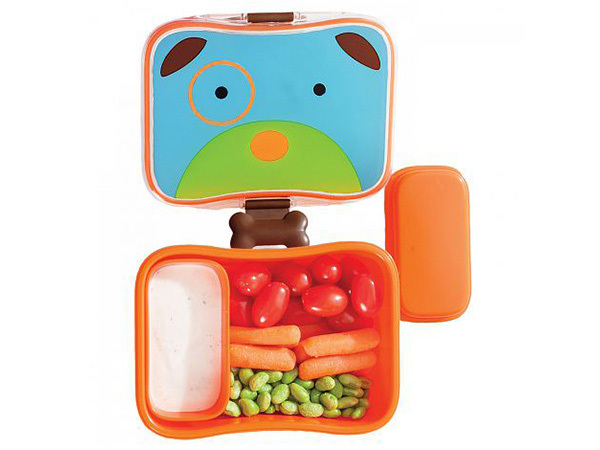 The Skip Hop Zoo Kids’ Lunch Kit even includes a snack container, perfect for dips. Choose from a menagerie of animal designs, priced at $19.95 from Haggus and Stookles. It’s important to keep lunch box contents cool and fresh, and that’s harder to do as the weather heats up. The Fridge To Go Small Lunch Bag holds a chill panel, which you freeze the night before, keeping lunch box contents cool for up to eight hours. Brilliant – and it can be yours for $32.95. For kids who prefer hot lunches, a thermal container is the key to keeping food safe from nasties. 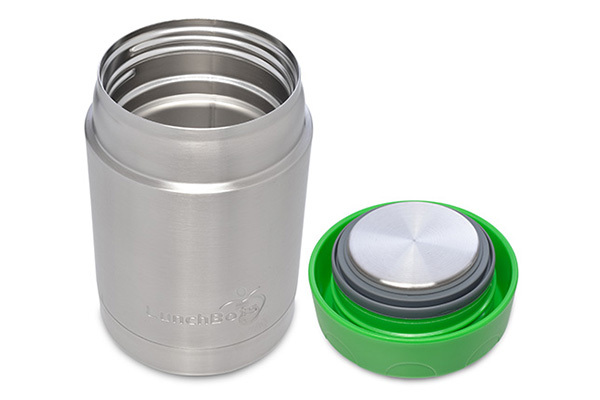 Suitable for both hot and cold foodstuff, the Lunchbots 350ml Thermal Insulated Food Jar is an awesome option for soup, fried rice, spaghetti, yoghurt and fruit salad. Made from stainless steel, it can handle all the school knocks. Priced at $44.15, you’ll find it at Shop Naturally.